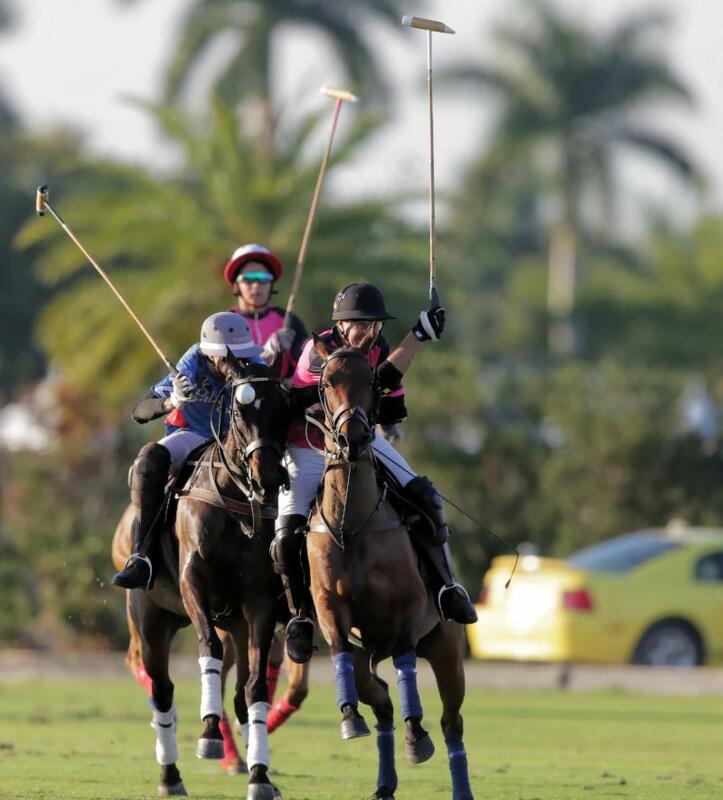 Keko Magrini of Altair Polo out of the saddle working the nearside as Santi Wulff of Patagones defends. 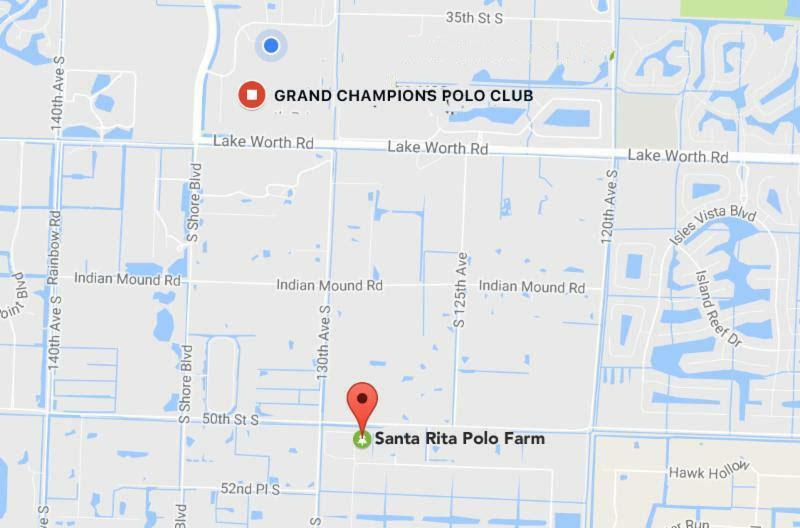 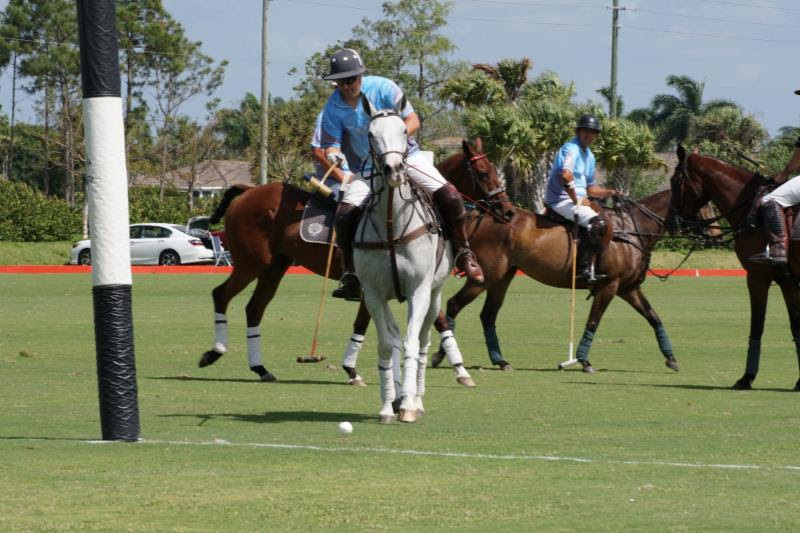 Brandon Phillips of Altair Polo tries to ride off Milo Dorignac of Patagones. 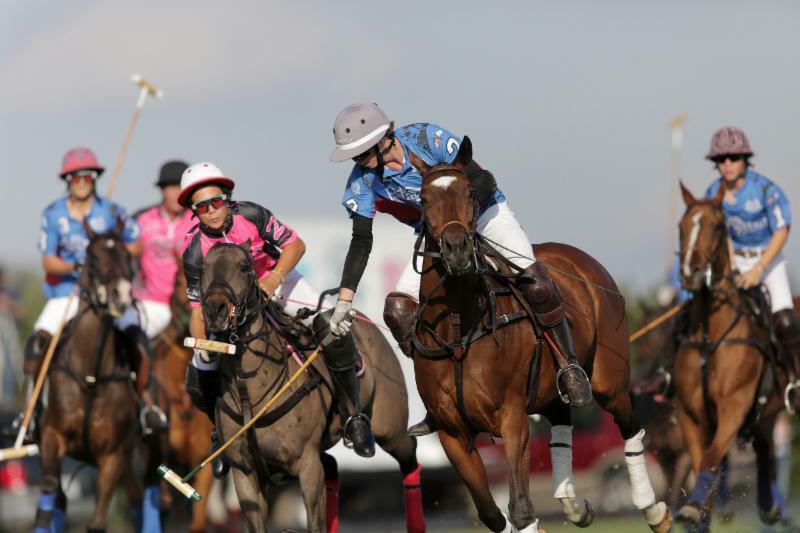 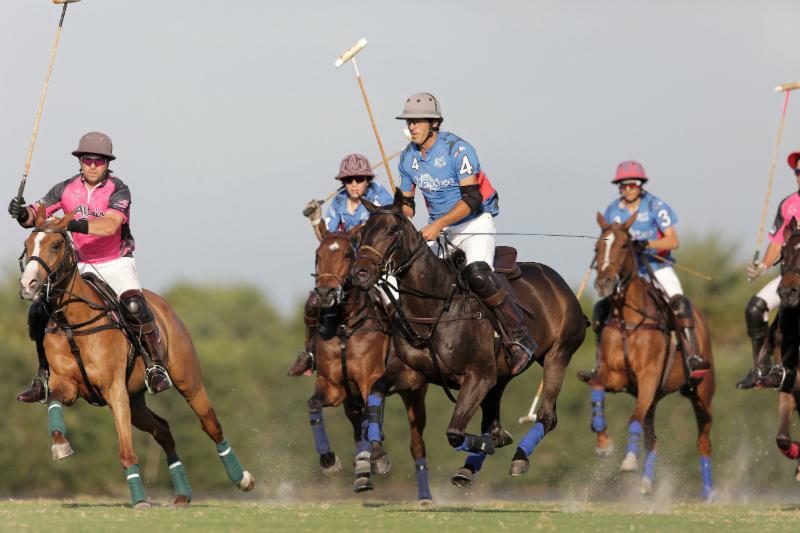 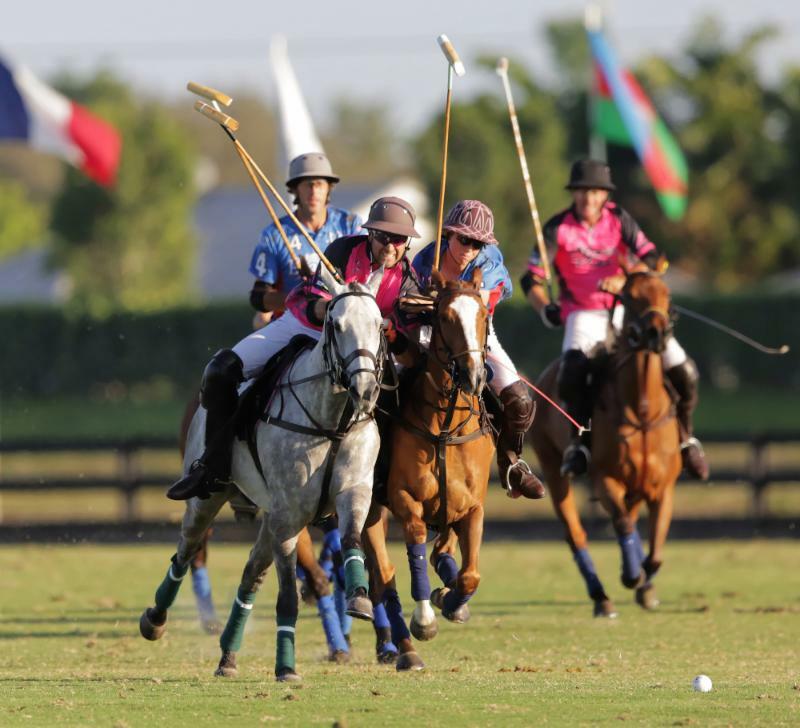 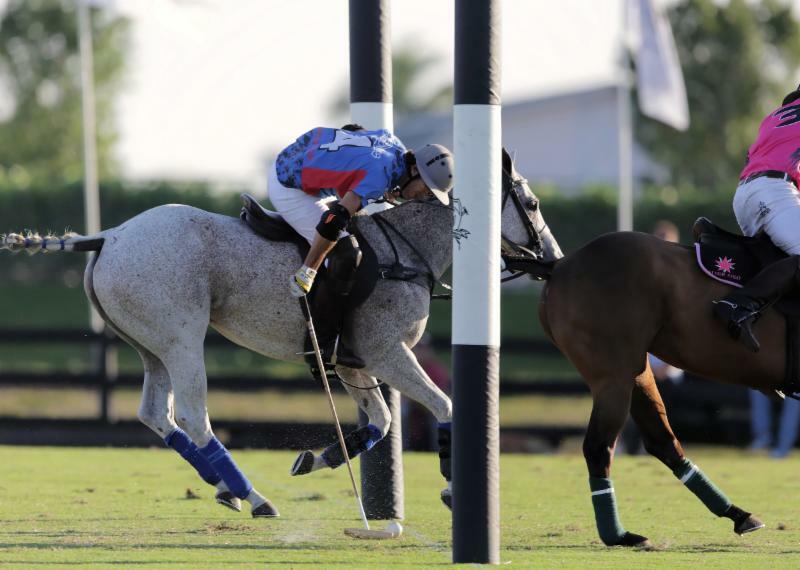 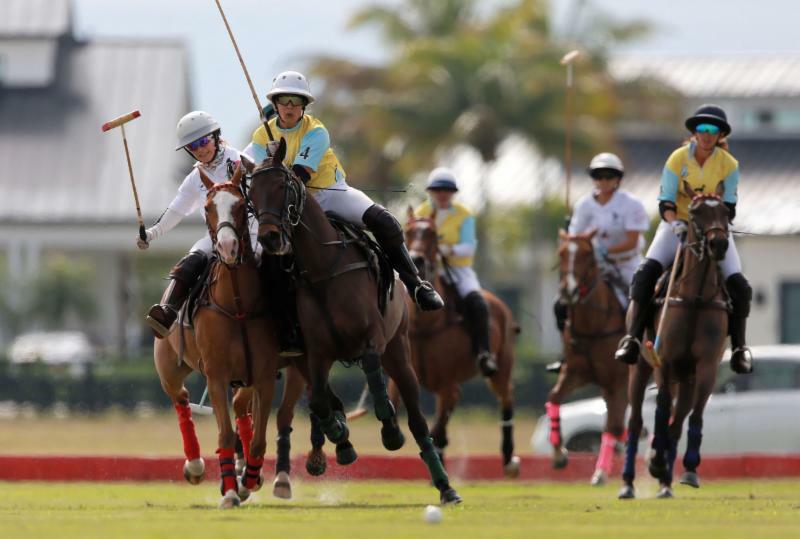 Keko Magrini of Altair Polo attempts to hook Santos Bollini of Patagones. 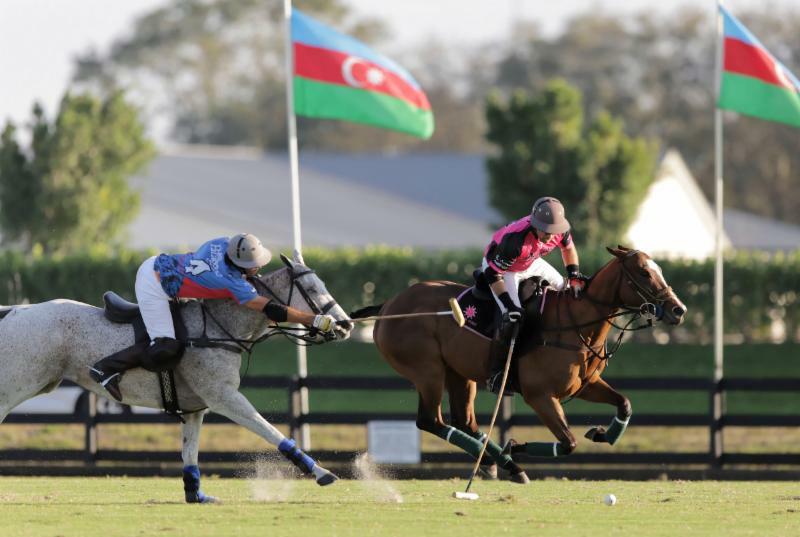 Nick Manifold of Altair Polo hits past defender Santos Bollini of Patagones. 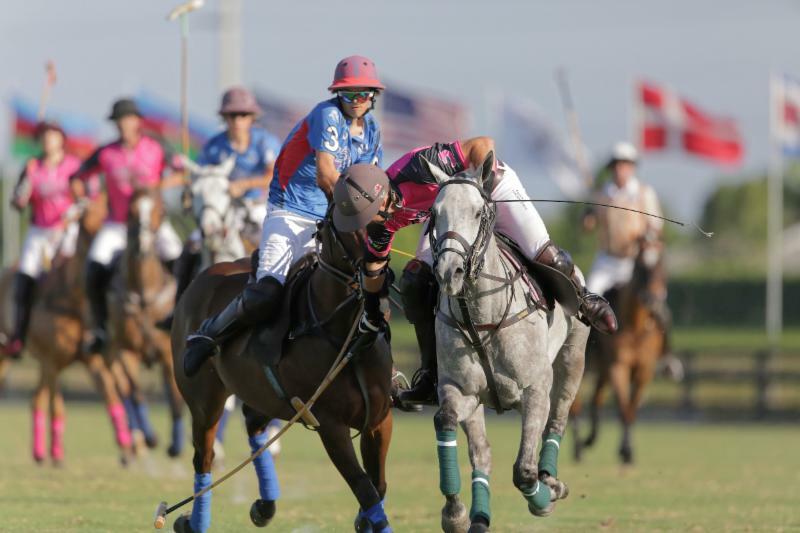 Santi Wulff of Patagones scores one of his game-high 11 goals. 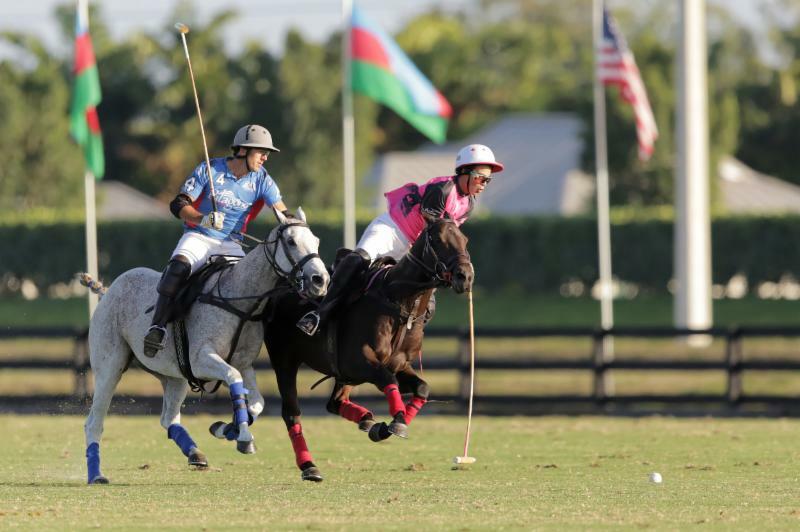 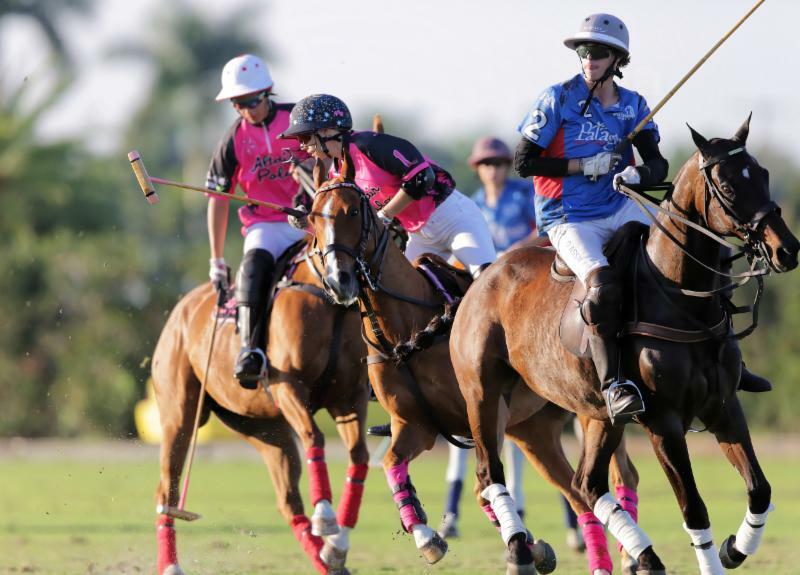 Ashley Busch of Altair Polo and teammate Keko Magrini work to gain possession. 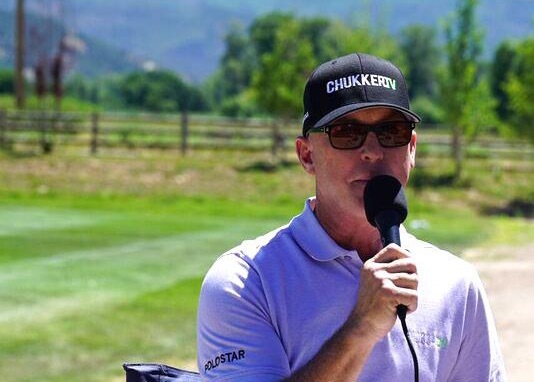 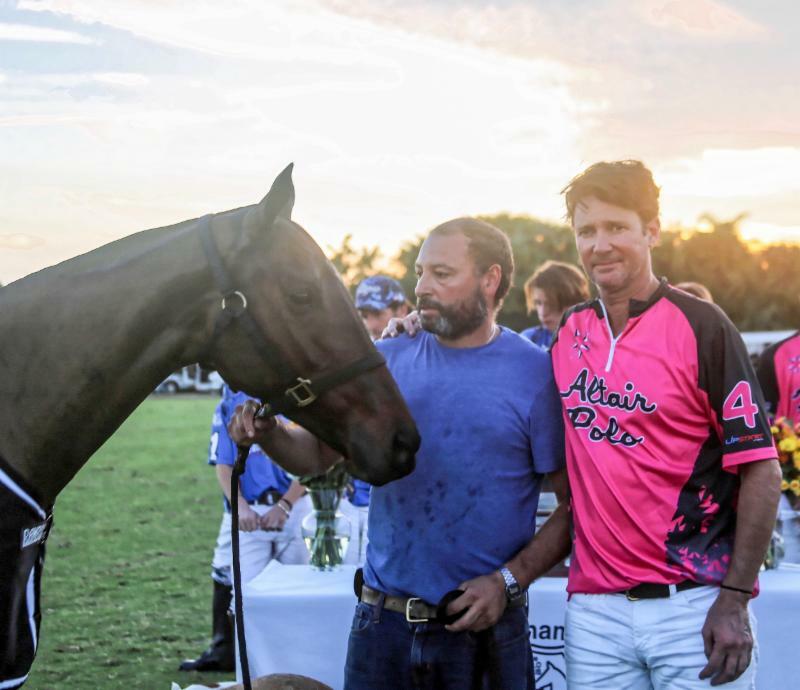 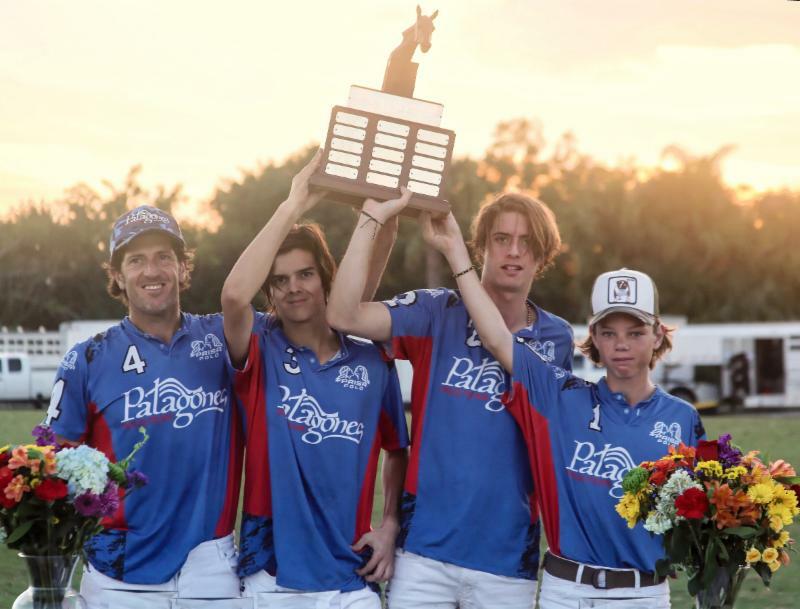 Best Playing Pony Machitos Monserrat played by Nick Manifold in the third chukker. 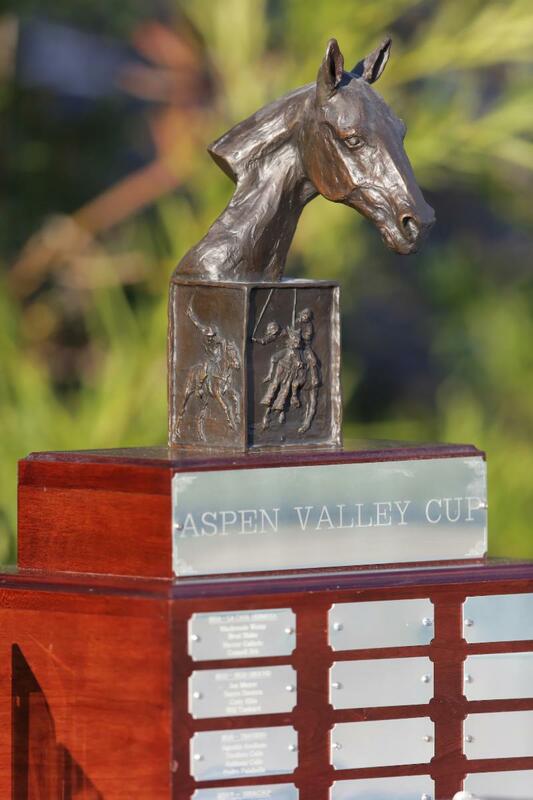 To the victors go the spoils, or in this case the Aspen Valley 8-Goal Cup.